Kenny won a FREE Party for 6 at Nashville Flyboard! Congrats To Runner Up, Jillian Emanuel! Jillian Won a Free 30 Minute Flyboard® Session! We hope to see you all this season! Here are some things we got goin’ on..
Now Accepting Bookings Online for 2016 Season! Book online for any location! Choose your favorite recreational lake including Percy Priest, Center Hill, Old Hickory, Tims Ford, & Dale Hollow lake. 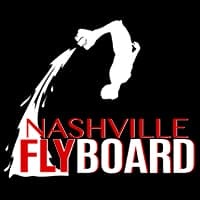 Plan Your Event with Nashville FlyBoard! Contact us to help plan your group, party, or event for summer 2016! Don’t wait until the last minute, our schedule fills up quick! We’ve got some new team members that will rock your world! Contact us to book a demo for your party or event. Service Areas Include: Percy Priest, Center Hill, Old Hickory, Dale Hollow, Lake Cumberland, Tims Ford, Kentucky Lake, & Private Lakes.